Is this the right scale for your home? Maybe not. These scales may be great for your doctor's office, but they're not for everyone. The high and narrow platform size make these scales harder to use for elderly and people with a wide stance. We're always here to help if you need advice on what kind of weight scale that might be best for your needs. Here's how to contact us. Platform Size 14" x 14" x 3.5"
Scale Size 14.2" x 36.6" x 20.5"
A Professional Scale For Your Home If you're looking to buy a high quality digital bathroom scale for your home, look no further. The Seca 703 is not only designed to give accurate, dependable results time after time, but to also blend seamlessly with your home decor. This great looking scale has a durable base to resist knicks and scratches, and a soft, slip resistant platform to prevent accidents. You'll have no trouble at all reading your weights from the large LCD display and low power consumption can save you big in battery power. Wireless Data Transfer The Seca 703 wirelessly transmits data to any EMR system making data recording easier than ever. Mother Child Function This Seca scale has a really cool mommy and baby feature that allows a child's weight to be measured while it is being held by an adult. This feature reduces stress caused to the child by weighing resulting in less movement and a more accurate weight reading. BMI (Body Mass Index) Feature If you're really serious about keeping an eye on your health, a BMI scale would be a great investment. This scale has the BMI function to help you determine the weight range that's right for you and your lifestyle. Slip Resistant Platform This seca health scale has a durable, non slip covering on the surface to help prevent accidental slips and falls. This soft, rubber cover makes weighing with this bariatric scale both safe and comfortable. Low Power Consumption Seca had on their thinking caps when they designed this health scale. The Seca 703 has a low power consumption and auto-off feature to allow over 16,000 weight readings from a single set of batteries. Now, that's a lot of weighing. 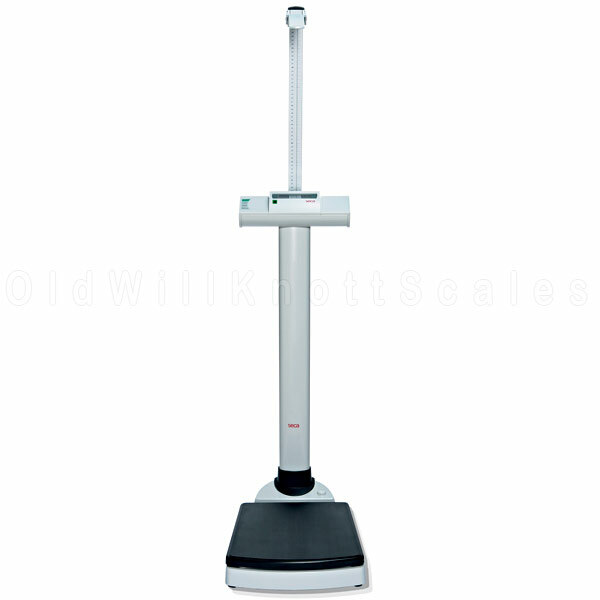 The Height Rod's Included This BMI scale comes complete with the Seca 220 height rod, turning it into the ultimate measuring station. Knowing your weight and height will let you accurately calculate your BMI number. Tare Feature The tare button on this digital scale's weight display can be pressed to "zero out" the weight on the scale. You can then add more weight, and the display will only show the weight of the items you're adding. This can sure come in handy if ya want to weigh your baby, or a pet, while holding him or her in your arms. Hold Feature With this cool feature you can weigh, press the "hold" key, and step off the scale. 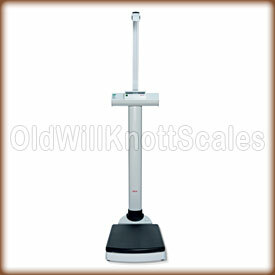 After you step off the scale, your weight reading will remain on the display. This feature will let you, (or your patient if you're a doctor or nurse) step off the scale, then, record your weights. 2 YEAR MANUFACTURER'S WARRANTY Seca Scales offers a two year warranty against defects in material and workmanship. In the rare case ya have a problem with this obesity scale, contact seca for a repair or replacement.